Choosing interior paint colors can be an excruciating task. With thousands of paint color choices out there, the selection is just too large and overwhelming for most people. 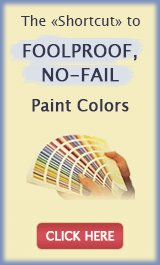 So if you are tired of spending money on paint samples and gas (driving back and forth to the paint store trying out different options), then you really need to check out the Paint Color Cheat Sheets™. The Paint Color Cheat Sheets™ contain only the best paint colors from Sherwin Williams palettes. These cherry-picked colors have been tested in real life and proven to work in all homes and for all decorating styles. NOTE: these are NOT actual paint color names - just descriptions of the colors included in the Cheat Sheets™. To get the exact corresponding names and codes/numbers for these Sherwin Williams paint colors, get yourself a copy of the Paint Color Cheat Sheets™. 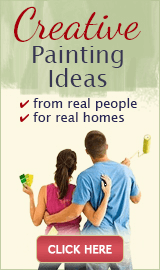 They will make finding the right paint color for your home so easy, you will almost feel like you're cheating! If this cheat list of Sherwin Williams' best paint colors sounds like what you are looking for, click here to learn more about it (Psst! 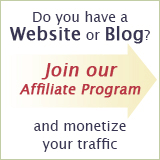 - make sure to check out the free bonuses - they are just as good as the main Sheets! ).